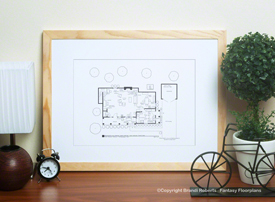 Buy a poster of Lynette and Tom Scavo's house first floor plan! 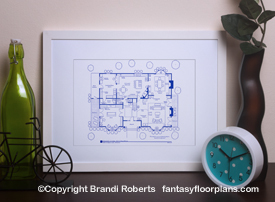 This is my fictional first story floorplan of Lynette and Tom Scavo's art and crafts inspired Wisteria Lane home from Desperate Housewives. This home features ample living space for this family of five (or six -- depending on the season). There's a large eat-in kitchen, living room with built-in bookcases, den and small dining room. In the den, you'll find a desk for Lynette and Tom -- his is the roll top desk. The den features a fireplace flanked by custom built-in bookcases. There is a garage attached which Tom uses to practice with his band. 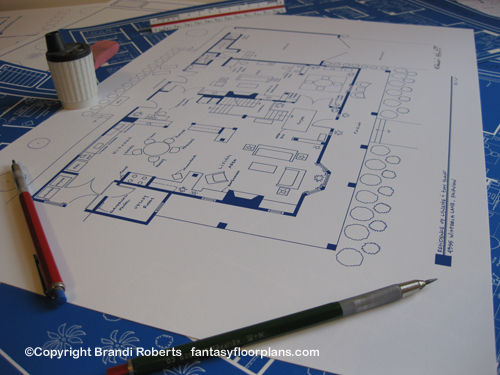 My fictional floor plan for the second floor for Lynette and Tom Scavo's Wisteria Lane home is here. 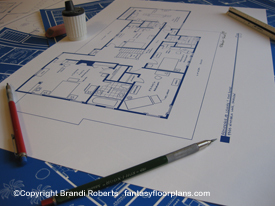 Don't miss Bree, Gaby and Susan's floor plans!